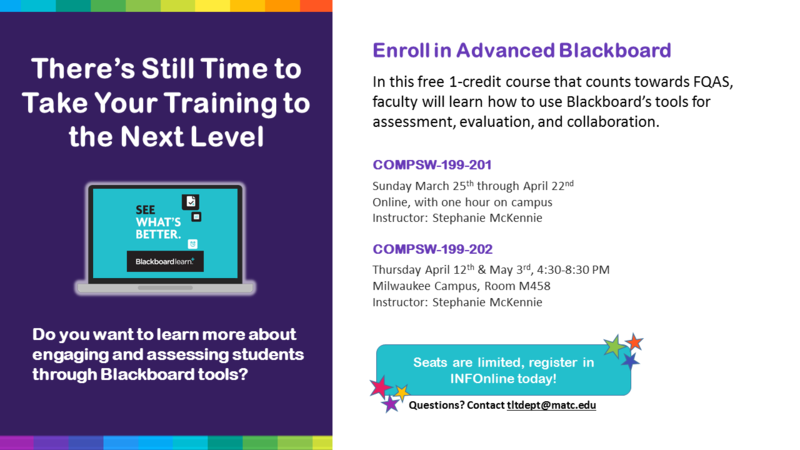 Enroll in INFOnline today to claim your seat! This entry was posted in News and tagged Blackboard Training Course by Megan Hamilton. Bookmark the permalink.